I have seen two different halters on Peppy once. Mrs. Fenwick has two halters I have seen before. 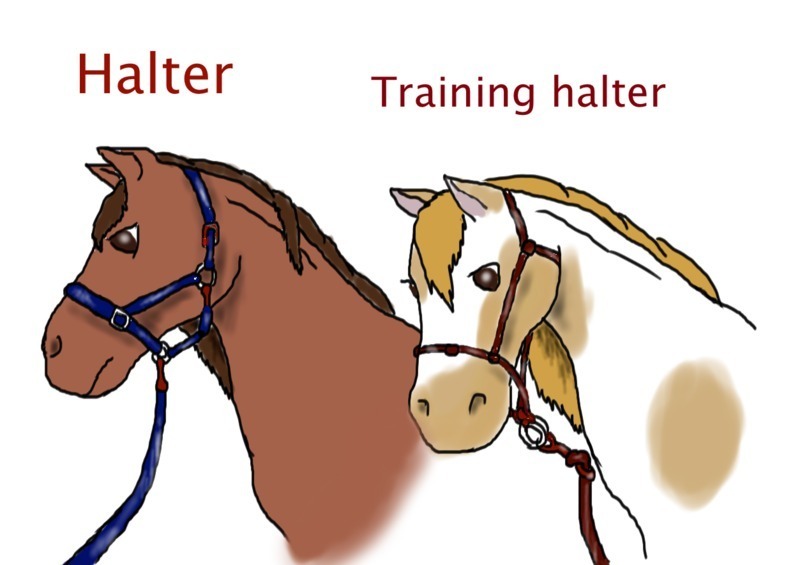 There's the normal halter and the training halter. The training halter has knots tied around the cheek. Thy are tied in just the right places so you could guide the horse and train it better. You can direct the horse while you're training him/her. Peppy and Lena use training halters when they are training. But when they were getting their nails clipped by the farrier, they used the normal halter. The normal halter looks better to me but sometimes it's easier to use the training halter.